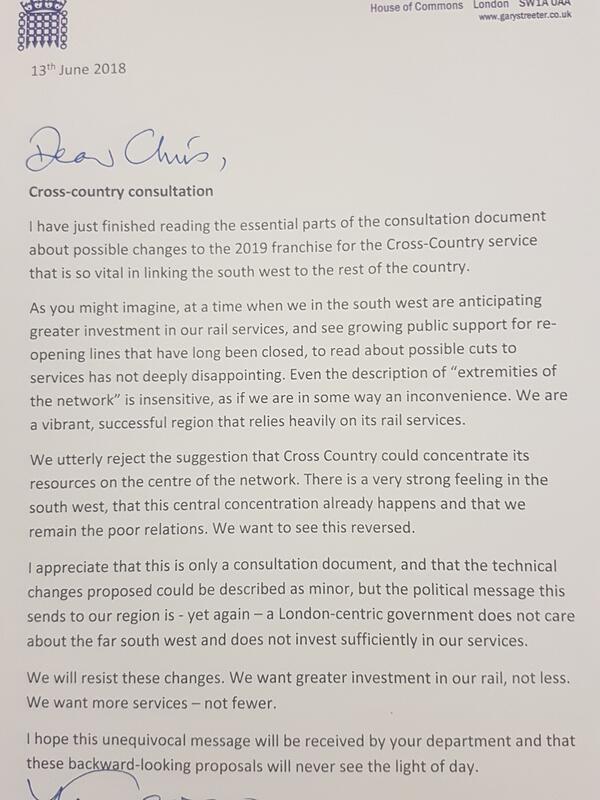 Today, I wrote to the Secretary of State for Transport, Rt Hon Chris Grayling MP, in response to the newly published Cross Country franchise consultation. The premise of the consultation document is simply not good enough. The South West needs enhanced rail services, not the leftovers from the rest of the country.